FPE Stab-Lok(R) circuit breakers fail to trip under overload or short-circuit conditions, at a failure rate much higher than comparable equipment made by other producers. This failure to trip occurs up to 80% of the time when the breakers are called-on to trip, depending on the individual breaker type and ampacity. Around half of the homes in Albuquerque have these types of breakers currently in use, specifically homes built before 1975. When an overload or short circuit occurs in an electrical device, say an electric clothes dryer, the circuit supplying electricity to the device is supposed to be interrupted, electrical power cut off, by either a fuse or a circuit breaker. This interruption of electrical power is intended to minimize the resulting fire hazard of electrical overloads or short circuits. A circuit breaker that fails to trip is unsafe fails to protect the electrical circuit and the building and building occupants where that circuit breaker is installed. This can lead to fire, property loss, and injury or worse. 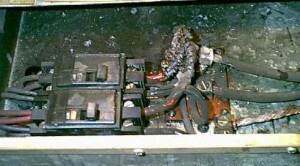 Federal Pacific Electric “Stab-Lok” service panels and breakers are a latent hazard and FPE circuit breakers can fail to trip in response to overcurrent, leading to electrical fires. The breakers may also fail to shut off internally even if the toggle is switched to “off.” Some double-pole (240-Volt) FPE circuit breakers and single-pole FPE Stab-Lok circuit breakers simply do not work safely. 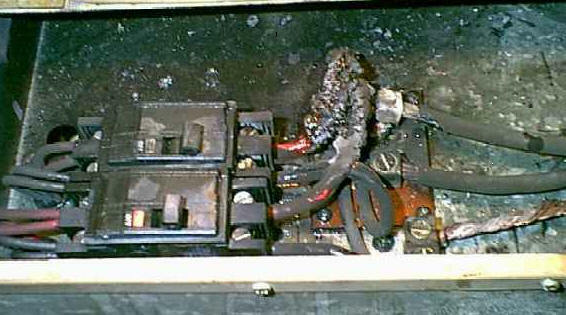 There are other FPE panel-defects independent of the breaker problems, panel and panel-bus fires and arcing failures in some equipment. The failure rates for these circuit breakers were and still are significant. In some cases failure to trip occurs 60% of the time – a serious fire and electrical shock hazard. FPE Stab-Lok electrical panels should be replaced. Do not simply swap in some replacement breakers. 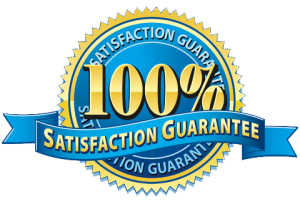 It is highly recommended that at minimum the load center is replaced. However, the proper way to address FPE breaker issues is to update the service entrance, or main power source of a home, which includes the riser, meter, panel box and proper grounding, as well as proper permitting and inspection. Call Defined Electric at 505-269-9861 or email one of our skilled Albuquerque electricians today to set up a free estimate for your home safety and electrical upgrade projects.